Rapper/poet/lyrical wordsmith Propaganda has just unleashed new album Crimson Cord on the freely-giving Humble Beast label. It’s an opus with bite. If you’re familiar with Prop’s earlier releases, including 2012’s Excellent, or even his succinct G.O.S.P.E.L. video, you’ll know that it’s hard to define his style, as he often treads a fine line between rap and spoken word. On Crimson Cord, Propaganda brings forth his best release to date. Boasting thirteen tracks peppered with a strong number of guests, the record is bolstered by solid production from labelmates Beautiful Eulogy. The arc, or thread in this case, through Crimson Cord is the idea that God is at work in our whole lives. Past, present, future. No matter what our pasts might say about us, or how we feel about it, or what past or present sin we feel weighed down by, there’s a thread of grace running through our lives. God is able to use our past pain, anguish and hurt to point us to himself, and the glorious redemption found at the cross of Christ – even if we don’t realise it until we have hindsight to see it. What is so wonderful about this record is that Prop leads by example. Opening track Mock Me is Propaganda laying himself bare. He shares his struggles, and how his past influences him in a myriad of ways: ‘Why won’t you go away? / You smirk as you chase me.’ This is just the beginning of this musical cord, and from this track until album closer Tell Me Yours, Propaganda unravels his story, God’s story, and wants us to consider our story all the while. Title track Crimson Cord is menacing in delivery and manages to be both heartbreaking and beautiful at the same time. ‘The pain that guides us / The strings that tie us / The coincidence that proves to us God’s existence / Joy we misplaced / Beautiful mistakes / The scarlet thread / The crimson cord.’ Our pasts are evidence of God’s love. 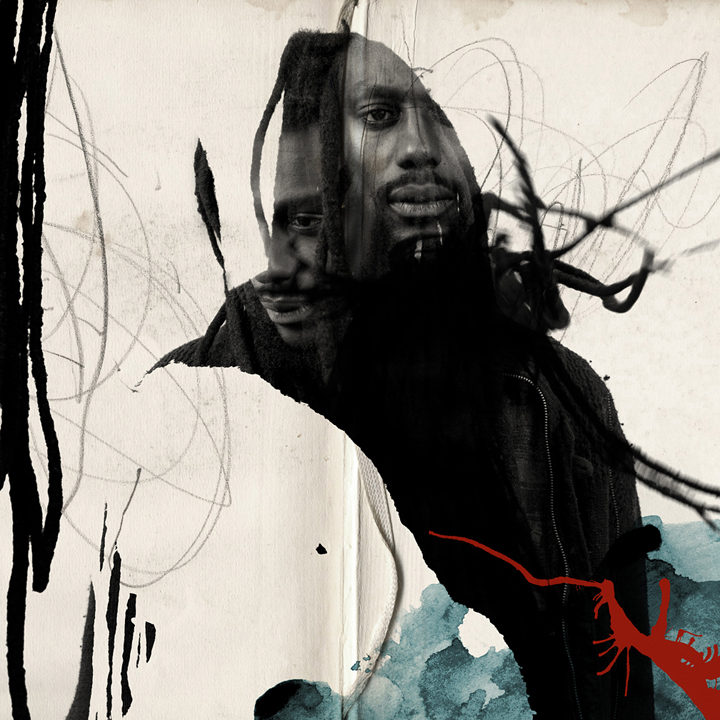 The album moves into hip-shaking territory with Daywalkers (featuring Lecrae). It’s certainly a standout track, and Lecrae powers through his verse with finesse. Might this be the first hip-hop track to namecheck Tim Keller? I’m going to say, yes. Bored of Education is an open letter of constructive criticism to America’s educational system. Being an Australian, I can’t comment much on the subject matter however the beat is fine. The album takes a surprising turn on Dear Rev., an address from the pastor of the Mountain Dew Missionary Baptist Church Of God In Christ Of The Greater Riverside Area. He’s excited about Propaganda’s new album Crimson Tide. Confused? Just get the album and enjoy the track. Framed Stretch Marks (featuring Braille) is a turning point on the album, and is almost Crimson Cord II. Similar to the title track, Prop is reminding us of God’s purpose through suffering: ‘It isn’t love if it doesn’t work… The scars and stretch marks are proof of God’s healing,’ and Braille rhymes that Jesus’ suffering brought about unfathomable healing for us: ‘I see beauty in the scars like colours in a collage / The greatest love gave me life through his death on a cross’. Dyed the colour red from our Saviour’s bloodshed. Crimson Cord doesn’t at all wane in the closing moments. Redeem (featuring Lee Green) finds its foundation on a strong beat, and brings incredible hope. ‘There’s no rewind, just redeem.’ And so, we find ourselves coming full circle with Tell Me Yours. Prop again looks back at his past but there’s an explosive sense of gratitude. He names a bunch of people that helped him on his way to finding Christ. This one track has us looking back at the last forty-six minutes of our crimson cord and paints the whole album in a new light. It’s glorious. Crimson Cord is record that challenges, hits hard, and will undoubtedly show itself as a modern classic. As he looks back at the crimson cord threaded through his life, Propaganda knows that his salvation, his gifts, and his ability are only made possible by God and his incredible grace. It’s incredibly humbling to listen to an album like this. I know that listening is only part one. Crimson Cord calls us to look back, rejoice in the God that has made us and knows us through and through, and who redeems us by the blood of his Son. Even Propaganda calls us to get in touch to tell him our threaded stories, so I’m gonna get thinking about mine. I’m giving this incredible album five out of five stars. Crimson Cord by Propaganda is out now. It is available for free from Humble Beast, or if you feel like supporting Prop’s ministry, you can purchase the album on iTunes. Posted in MusicTagged Album Review, Crimson Cord, Grace, Hip Hop, Humble Beast, Lecrae, PropagandaBookmark the permalink. Cool review brother. I really love the depth to this album. Propaganda keeps getting better with every album. A few months before he dropped this album, he wrote a FB post saying that he was going to take the biggest risk of his career by releasing this album. I wonder which track he was referring to? Thanks Matt. I’ll be interviewing Prop about the album in the coming weeks and will do my best to ask him this. Keep an eye out for it in June. I listened to the album and I really enjoyed it. Though one problem I tend to have with prop’s music (im not saying im correct just expressing my opinion) is that at times it feels like he strays away from the Gospel too much, so much to the point you forget your listening to christian music. Just my opinion though. But what I would really like to add is that on daywalkers, though the beat is ridiculously catchy and fun, that I almost feel like theyre saying its o.k. to be worldy and to listen to worldly music which I and any devout christian would completey disagree with. I do not like the fact that Lecrae goes on to say that he’s a product of “descarte” which didn’t necessarily have a solid or clear biblical foundation in his philosophies. The point is I think this song can be very dangerous and can possibly be a stumbling block for fellow brothers and sisters in Christ. I do love the opening and closing songs because we really get to see propaganda’s humility, weakness, and gratefulness for the Christ, The Gospel, and the people in his life that God sent to inspire him.